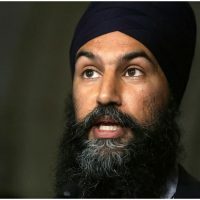 Liberals won 34 seats by five per cent or less of the vote in 2015, the NDP 16, the Conservatives 15, and the Bloc snagged five within this margin. 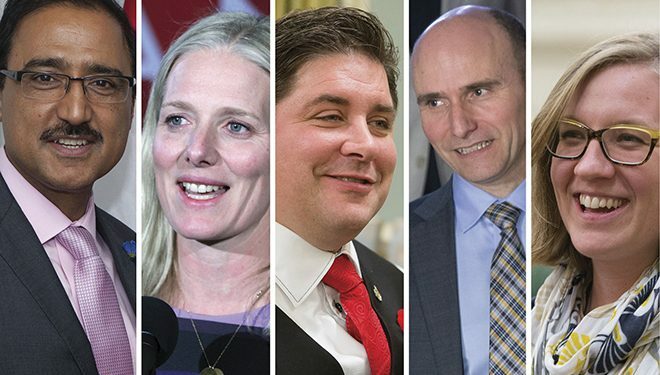 The 70 federal ridings across the country won in 2015 by a margin of five per cent or less of the votes will be the “battleground ridings” in the 2019 election and all parties will target them in the lead-up to the next federal run, say MPs and a leading pollster. 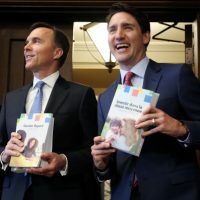 Of the 70 ridings across the country that were won by a margin of five per cent or less in the last election, the Liberals won 34, the NDP won 16, the Conservatives won 15, and the Bloc Québécois won five. Twenty-eight of these closely fought ridings were in Ontario, 22 in Quebec, four in Alberta, nine in British Columbia, three in Manitoba, two in Saskatchewan, and one each in Newfoundland and Labrador, and New Brunswick. Among the 34 Liberals who won these close contests, five are cabinet ministers who were elected for the first time in 2015. They include Minister of Families, Children and Social Development Jean-Yves Duclos (Québec, Que. 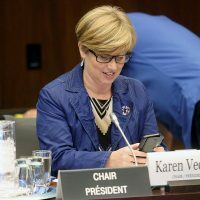 ), Democratic Institutions Minister Karina Gould (Burlington, Ont. ), Environment Minister Catherine McKenna (Ottawa Centre, Ont. ), Veterans Affairs Minister Kent Hehr (Calgary Centre, Alta. 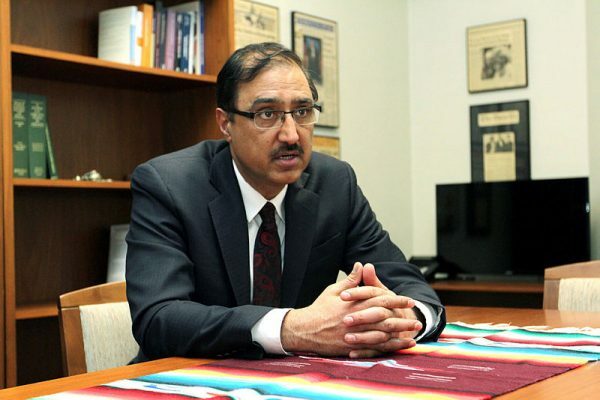 ), and Infrastructure Minister Amarjeet Sohi (Edmonton Mill Woods, Alta.). 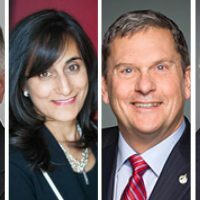 Mr. Duclos won his riding by 1.9 per cent, Ms. Gould 3.5 per cent, Ms. McKenna 4.1 per cent, Mr. Hehr 1.2 per cent, and Mr. Sohi by 0.2 per cent. In the Oct. 19, 2015 election, there were 338 federal ridings up for grabs. 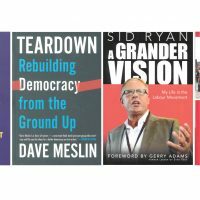 The Liberals won a majority government with 184 seats, the Conservatives 99, the NDP 44, Bloc 10, and the Green Party one seat. To win a majority government, the winning party needed 170 seats. 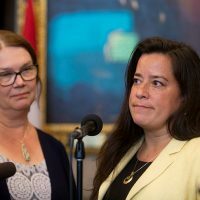 The Liberals received 6.9 million or 39.5 per cent of the votes; the Conservatives 5.6 million or 31.9 per cent; the NDP 3.4 million or 19.7 per cent; the Bloc 821,144 or 4.7 per cent; and the Green Party 602,944 or 3.4 per cent. 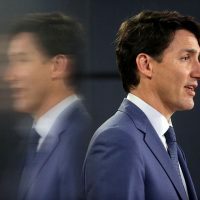 Although the Liberals won a majority government, pollster Greg Lyle of Innovative Research described in an interview with The Hill Times the outcome of that election as “close.” He noted how with 34 of the Liberals’ seats won by five per cent or less, having just 15 of those go to another party would have cost them the majority. Mr. Lyle said all parties would target these ridings in preparation for the next election. To win the next election, he said, MPs representing these ridings would have to prove to their constituents they are good constituency MPs. “You really want to build a reputation as being a helpful trouble shooter for anyone in the riding,” said Mr. Lyle. Prior to the 2015 election, the riding of King-Vaughan was called Vaughan. As a result of the redistribution of electoral boundaries, Vaughan was re-jigged and renamed in 2013 to King-Vaughan. Former Conservative MP and cabinet minister Julian Fantino represented the riding of Vaughan from 2010 to 2015. Mr. Fantino first won this riding in a byelection in 2010 after then-Liberal MP Maurizio Bevilacqua resigned from his seat to pursue municipal politics. In 2011, Mr. Fantino won this riding by a margin of 27 per cent of the vote. In 2015, he chose to run in the riding of Vaughan-Woodbridge, but lost to rookie Liberal MP Francesco Sorbara. 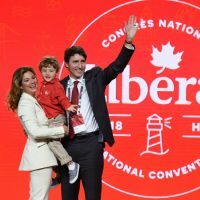 Ms. Schulte said her win in the riding was the result of working on the ground, with some help from the Liberal red wave led by Justin Trudeau (Papineau, Que. 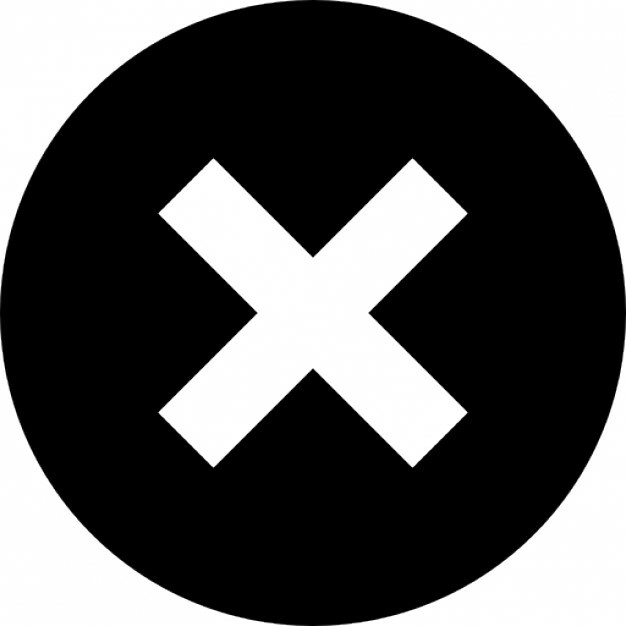 ), that hit the country in 2015. 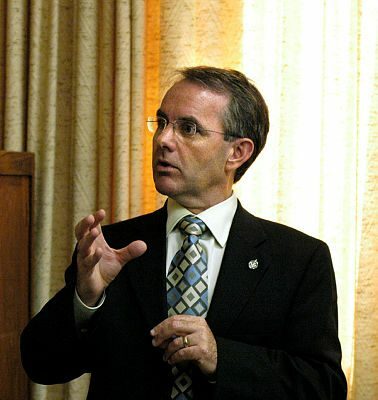 Four-term Conservative MP Bruce Stanton (Simcoe North, Ont.) 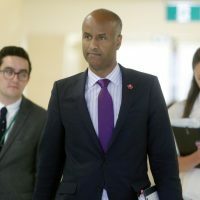 told The Hill Times he expects other parties to target his riding in 2019 because of his small-margin win of 3.7 per cent in 2015. He won the 2011 election by 34.6 per cent of the vote. Mr. Stanton said his victory margin shrunk last time because of Canadians’ appetite for change. Mr. Stanton said he’s worked hard in his riding serving his constituents since getting elected in 2006. 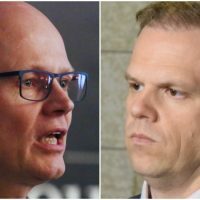 He declined to share specifics on what he was planning on doing to ensure he wins his riding again. “You go into these contests, you fight on the basis of your record,” said Mr. Stanton. 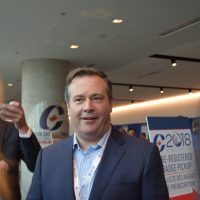 Without mentioning any names, he said, his rivals from other parties are already working in the riding. 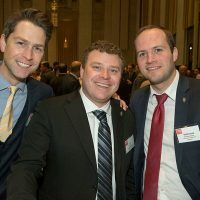 Mr. Stanton said he expects the Liberal and NDP political activity in the riding to go into high gear in the coming months, and especially in the last few months before the next election. 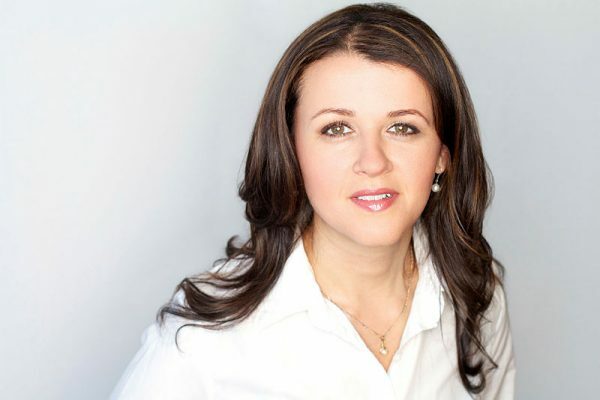 Rookie Liberal MP Julie Dzerowicz (Davenport, Ont. 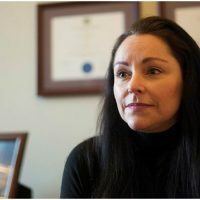 ), who won her riding by of 2.9 per cent, told The Hill Times she’s been providing quality constituency office service to constituents and door-knocking in the riding since getting elected in 2015. 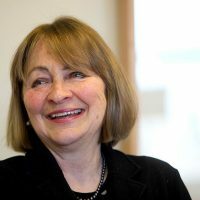 She noted that Davenport has historically been a safe Liberal riding since the 1960s. 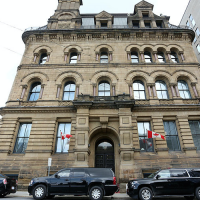 The only time the Liberals lost this riding was the 2011 election when the NDP candidate Andrew Cash won with 53.7 per cent of the vote, unseating then-incumbent Liberal MP Mario Silva who only got 27.8 per cent. Mr. Silva won the three elections previous to that. And before that, Liberal MP Charles Caccia represented this riding between 1968 and 2004, winning 10 straight elections.